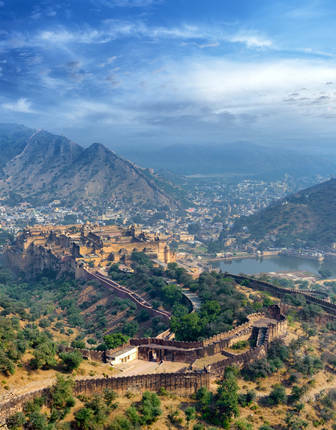 Combine one of the world's greatest rail journeys with an equally spectacular cruise to some of Europe's most historic cities. 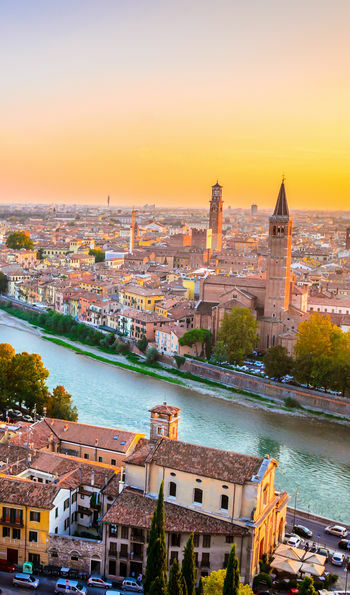 You'll begin by boarding the famous blue and gold carriages of the Venice Simplon-Orient-Express in Calais, enjoying white-glove service and exquisite dining as you traverse along chocolate-box villages and emblematic Swiss scenery before arriving in Verona’s storybook streets. 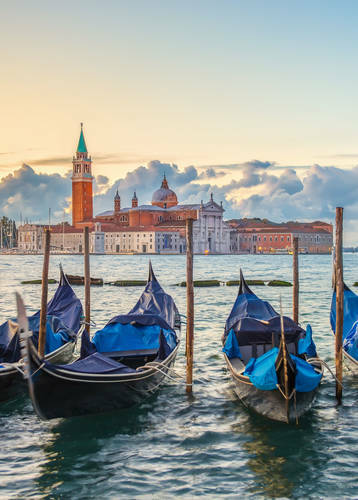 Discover Venice’s winding canals and iconic history before you board the Seabourn Odyssey for a six-star cruise, staying in a deluxe cabin and enjoying all-inclusive meals, from fine dining to casual poolside bars. 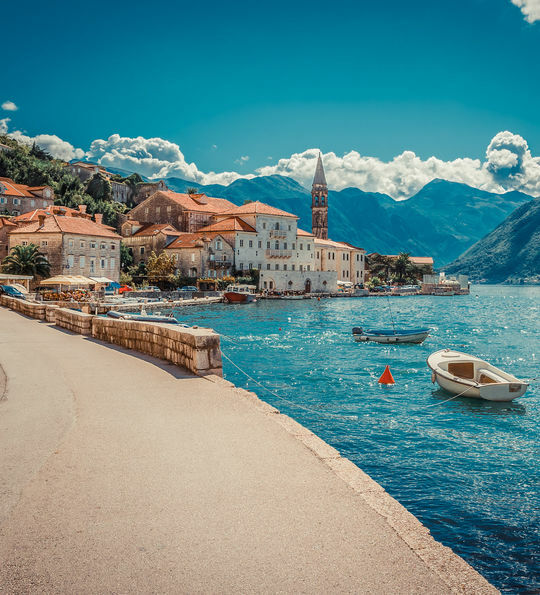 Culminate the journey among Croatia's medieval gems, Montenegro's lesser-explored shores and Greece’s sun-drenched hills. Embark the luxurious Belmond British Pullman at London Victoria and enjoy a three-course brunch as you speed past Kent's scenic Folkestone countryside. 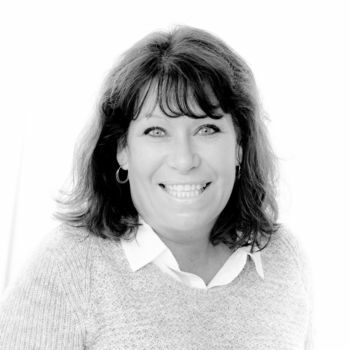 The real excitement starts, though, as you approach Calais and catch sight of the iconic blue and gold carriages of the world's most glamorous train, the Venice Simplon-Orient-Express. 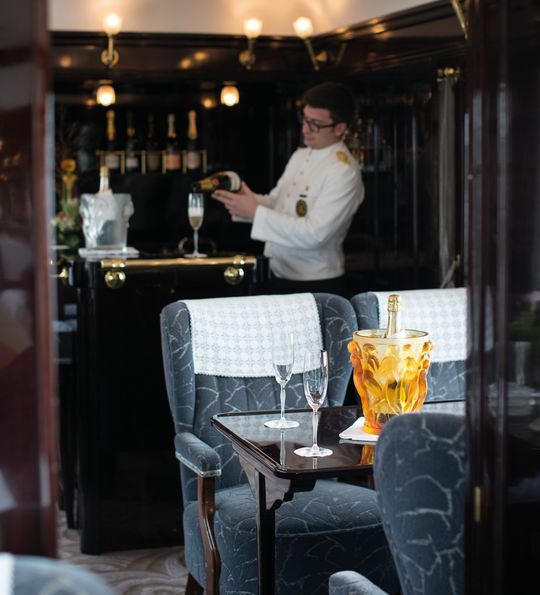 Marvel at the Art Deco influences and the marquestry on board the painstakingly-restored carriages as as you enjoy a glass of sparkling wine before changing for dinner. 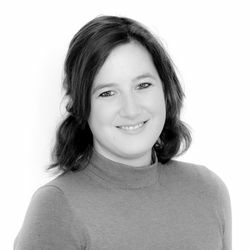 The exquisite dining cart awaits, all glittering crystal and intricate furnishings, where you'll indulge in a four-course dinner, enjoying the likes of Brittany lobster and fillet of beef with black truffle béarnaise. It's the perfect prelude to an expertly-mixed cocktail in the opulent bar cart before you head to your cabin, which will have been cosily transformed into a sleeping berth. 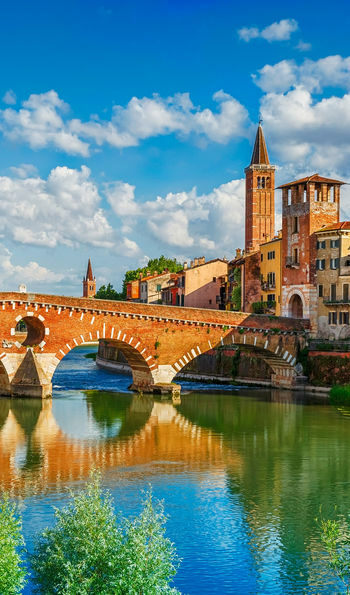 Enjoy a leisurely breakfast in your cabin as rolling meadows and chocolate-box villages rush past on your approach to Verona. Then, it's emblematic Italian countryside that steals the show as you indulge in a three-course lunch before arriving in the city, taking your private transfer on arrival to your hotel for a two-night stay. Explore the ramshackle piazzas of Shakespeare's city with our included walking tour that will see you amble between boutique-lined streets, stop for an aperitif in the famous squares, browse a copy of Romeo and Juliet and go in search of that famous balcony. Perhaps catch a play at the historic theatre Teatro Romano or an opera at the Arena di Verona, or why not dress up and join the locals for passegiata in the piazzas before returning to the hotel’s onsite restaurant where you can enjoy the likes of prime ribs and Italian specialties on the terraced rooftop, sipping mixologist-created cocktails as you take in panoramic views. 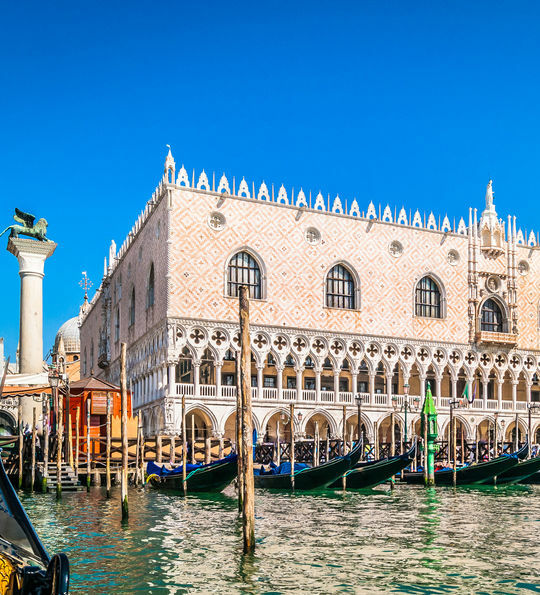 This morning, take your private transfer to Venice and check into the palatial luxury of the Bagliona Luna, arriving via gondola or polished wood motorboat to the hotel's private jetty just off the Grand Canal. Expect the finest service among the silk walls and historic frescoes of your room, offset with Baroque prints and brushed-gold furniture. You’ve got the heritage beauty of St. Mark’s Square and the famed Bellini cocktails of Harry’s Bar on your doorstep, but take the time to enjoy a meal at the award-winning Canova Restaurant, featuring dishes such as egg yolk tagliolini, crispy shrimps and octopus salad. After an indulgent breakfast and espresso at the onsite Caffè Baglioni, right on the canal, you’ve got two full days to enjoy Venice. 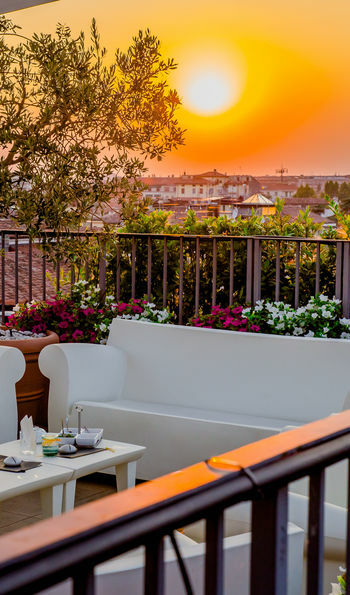 Your hotel's privileged setting also means you'll enjoy views over St. Mark’s Basin, the island of San Giorgio Maggiore, or Venice’s canals from your pretty terrace. Perhaps enjoy a casual lunch in one of the many waterside trattorias before taking a gondola ride among the winding waterways, or simply enjoy a glass of fine Italian wine in a piazza-side cafe. 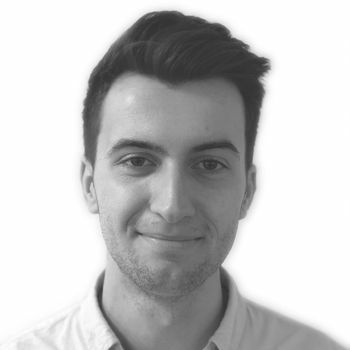 Getting lost in the narrow alleyways is a quintessential part of exploring Venice, but at some point you'll end up in the charming Piazza San Marco, where tourists and locals congregate for a coffee or an aperitif. It’s a wonderful prelude to a meal at one of the romantic canalside restaurants that line the streets. 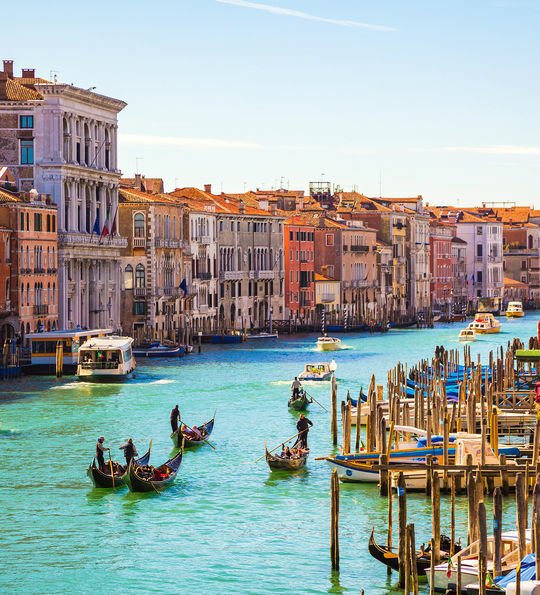 This morning, perhaps take a last sailing trip the Venetian Lagoon and discover unexplored ports, kayak among Venice’s emblematic canals or simply stroll along lively streets to explore the bacari, authentic wine bars where local Venetians meet over a fine wine. 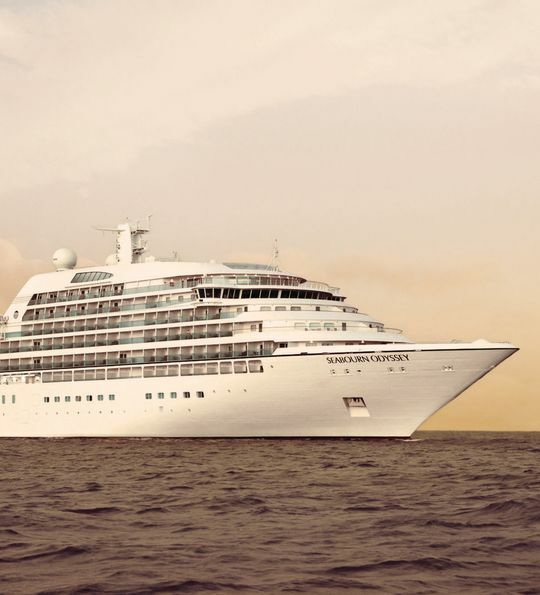 Then, take your private transfer to the port, ready to embark the spectacular Seabourn Odyssey that will set sail this evening. Check in to your deluxe suite adorned with a private veranda, panoramic views and rich furnishings, before perhaps enjoying an Italian lunch on deck overlooking Venice in all its splendour. Soak in the whirlpool or head to the sun terrace for some languid relaxation, perhaps also indulging in a massage in one of six treatment rooms, before taking the first of your all-inclusive meals in the ship's intimate dining area that serves innovative tasting menus paired with a fantastic choice of world-class wines. Set sail to the historic city of Sibenik today and discover a cluster of forested islands and red-roofed buildings, the setting for an abundance of UNESCO World Heritage sites. Explore the 15th century St. James Cathedral, the largest church in the world built completely of stone, before heading to the turquoise-bright pools and rushing waterfalls of the Krka River in the Krka National Park. Finally, don't miss the resplendence of white-stone St. Michael’s Fortress, with its open-air theatre that provides stunning vistas of the glittering Sibenik bay and its neighbouring islands. 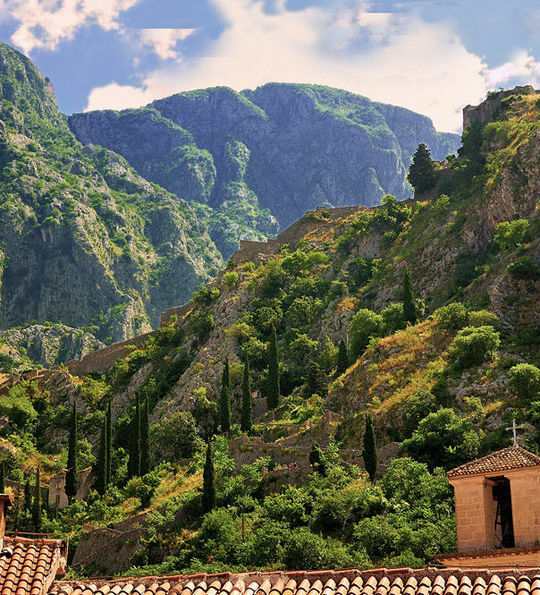 Voyage into one of the Adriatic's best preserved medieval gems today, the fortified limestone city of Kotor. Stroll along the Gulf of Kotor river canyon and discover the overhanging cliffs that all form to make a spectacularly beautiful landscape, with highlights including the imposing Lovcen mountain, Romanesque Kotor cathedral and laidback barrier island of Sveti Dorde. 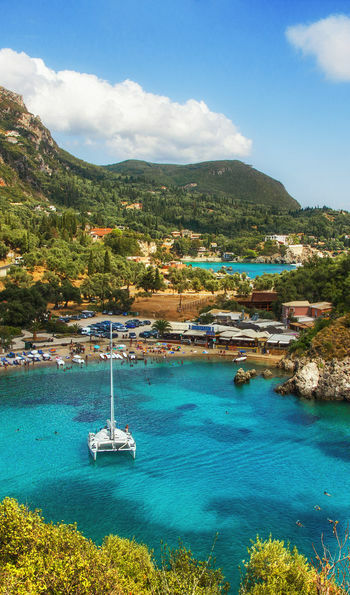 Spend the next two days heading ashore to discover the rugged undulations, pristine shores and cobbled hills of Corfu and Kefalonia. 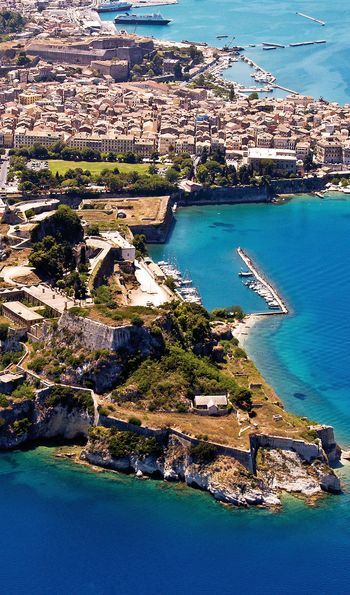 Your first stop is the rolling olive grove-lined hills and winding laneways of Corfu that trail among whitewashed houses and reach Spianada square, a historic space that's the largest of its kind in Greece, in the shadow of the spectacular Old Fortress. 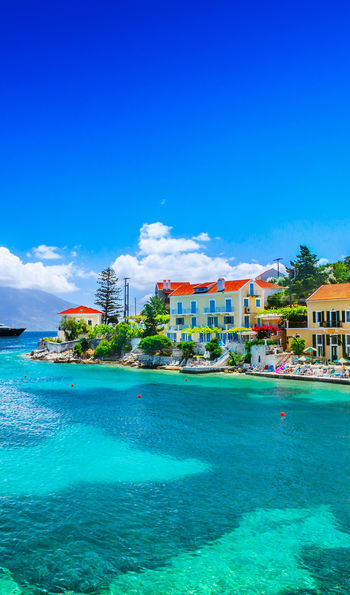 Over on the east coast in Kefalonia, stunning beaches studded with cafes and tavernas make for a delightfully relaxing day soaking up the ever-so-Greek atmosphere, or head to the ruins of ancient Sami where a charming waterfront, ancient monasteries and Venetian buildings lie shadowed by verdant mountains that look on to shimmering coves, caves and even underground lakes, best explored with boat trips and diving excursions. Come back each evening to the delights of the ship, perhaps enjoying sundowners at the poolside The Patio before fabulous themed dinners in The Colonnade restaurant. Anchor in Gythion on day 12, the gateway to world-renowned Sparta, once the home of Greece's toughest soldiers. 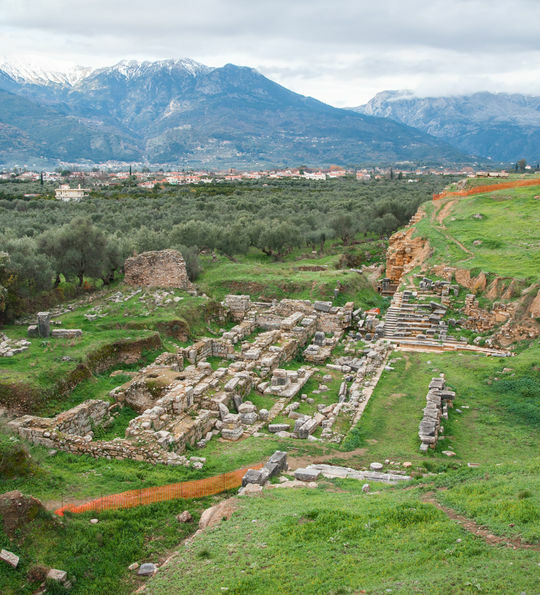 Discover the shrine of Aphrodite, the goddess of love, and what's believed to be the site of Paris of Troy and Helen's affair, causing the beginning of the Trojan War. Then, explore Mani's underground lakes, rivers and windswept landscapes that circle colourful row houses and a pretty fishing port, or head to the white sands of Mavrovouni beach for languid beach relaxation. 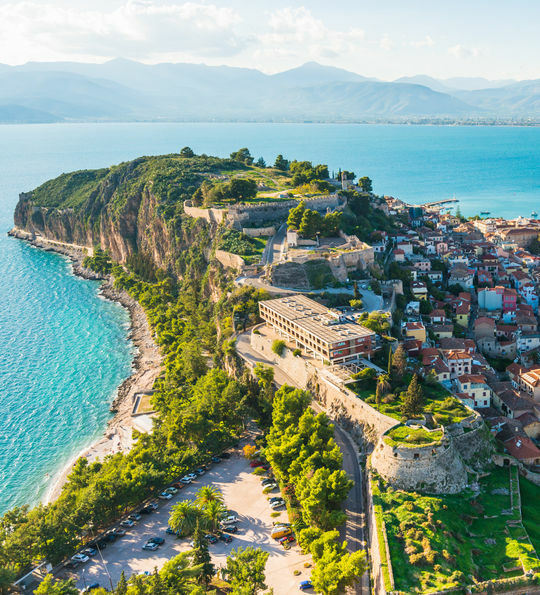 It's swapped the next day with the small-village charm of Navplion, all red-roofed neoclassical houses that line a charming harbour and jutting peninsula, best explored with swimming and beach strolling in the shadow of a spectacular Venetian fortress. Debark the ship at Athens and take your private transfer to the airport for your flight back to the UK. "This itinerary combines classic rail travel with the all-inclusive luxury of Seabourn's Odyssey cruise ship. 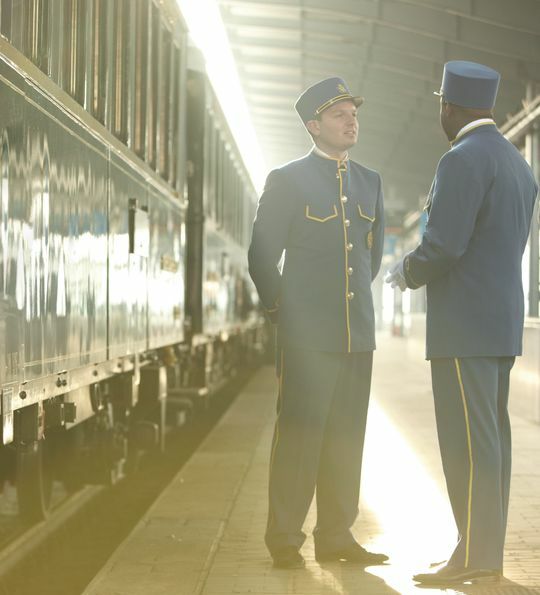 Climb aboard the famed Venice Simplon-Orient-Express and step back in time to a more refined, congenial and elegant era. 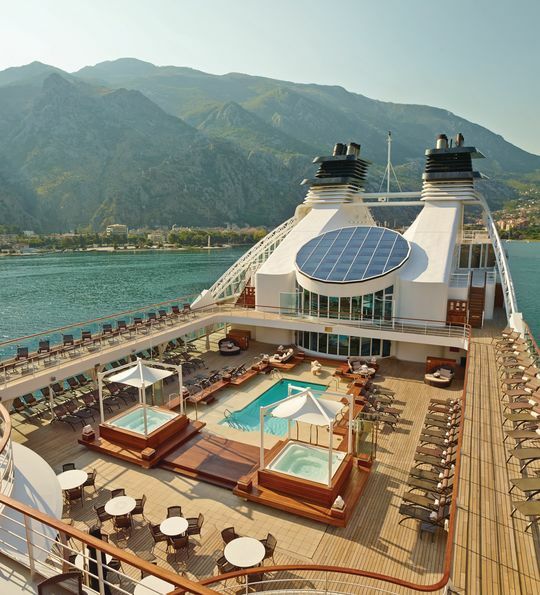 Indulge in opulent surroundings at your Verona hotel and relish the incredible pampering and service on board the intimate Seabourn Odyssey."